Instant Messenger has come a long way in the past 50 years! 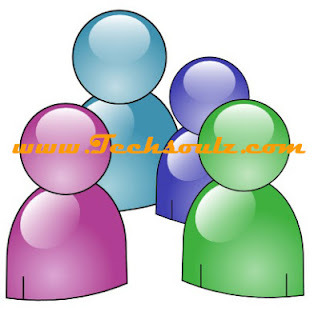 Instant Messenger had humble beginnings but has now developed into a major communication channel which has been implemented into a number of influential social media sites. From the limited system set up in 1960s where you could communicate with your colleagues, to sending free messages to friends and family at home, to using instant messenger on your mobile. Instant messenger has progressed further than we could imagine; and it is still on going. MySpace was the first social media platform to bring in an instant messenger function and now Facebook and Google both have their own versions. Google Talk was released in 2005 and has now been integrated into the Google+ network and Facebook released their own version in 2008. Now these versions have their own app so there is no need to log into the whole network, you can just click the relevant app and speak to whoever is online at the time. These apps are allowing social media to become more accessible and more appealing to new users. Businesses all around the world are now regularly using instant messenger services to communicate with each other. With the advances to include new features to the instant messenger services like mobile video chatting, group calling, sending files online and screen sharing. All these features make instant messenger service much more cost effective to have meetings rather than travelling to visit clients or colleagues. There are even office dedicated services which can be integrated into the office database, meaning you can contact anyone in the office without having to find their number. This is also a great feature for conference calls to clients or even an internal meeting with colleagues in different offices. This allows the business to be more cost effective as there are reduced costs in travelling for meetings. Because instant messaging is more easily available now and there are apps available and social media owned versions, the trend suggests IM will overtake Text Messages. In December 2012 it was the 20 year anniversary of the SMS but is a clear decline in its’ usage due to the number of instant messenger services available online. There is a growing opinion that instant messenger will overtake text messages with over half of smartphone consumers using IM services. Technology is being developed and trialled currently in “location aware IM’ing”. This is where your instant messenger service will pinpoint your location and find who else is in your area. This could be useful as it will show you where people in your buddy list are so you can meet up for an impromptu coffee, or help a friend out if they get lost! Instant messenger has played a strong role in our technology lives and the capabilities have increased massively from an office based solution, to a replacement to text messaging. As there is a lack of cost and with the increase in social media based services, instant messenger will only grow further as social networks increase in popularity. Author Bio: Liam McClure writes for a digital marketing agency. He writes on a broad range of topics including mobile technology and social media. This article has been commissioned by a client of said agency. This article is not designed to promote, but should be considered professional content.